(06/23/2015): The natural preservative system used for this product is not stable in extreme temperatures. I highly recommend against ordering and having this product shipped overseas in extreme temperatures, particularly during summer months. There have been consumer reports of spoilage of other products in this line due to the sole reliance on the natural preservatives used. I was really intrigued when I saw that one of the brand new Benton product releases was a lotion for few reasons. I really love using a true emulsion type product in my skincare routine, and this lotion seemed like it might fit the bill. I was also curious about whether this would be a worthy substitute for the Benton steam cream, which I absolutely love, but have one friend for whom it causes breakouts. She loves the rest of the Benton range, so it would be nice it this lotion could be a worthy replacement. So how did the Benton Snail Bee High Content Lotion fare? Let’s find out! 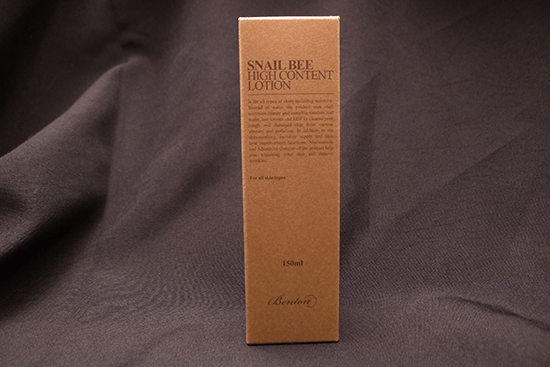 Benton Snail Bee High Content lotion is a moisturizing lotion. It promises to moisturize, improve skin tone, and combat wrinkles. This ingredient list gave me pause. Admittedly, if it was a list from another brand’s product, I wouldn’t be so hard on it. But there are quite a few ingredient types that I find unusual for Benton – specifically the fatty acids and fatty alcohols. I’m less concerned with the fatty acids, which include Glyceryl Stearate and Stearic Acid. Stearic acids are vegetable derived, and in their raw form, they appear as white waxy solids. 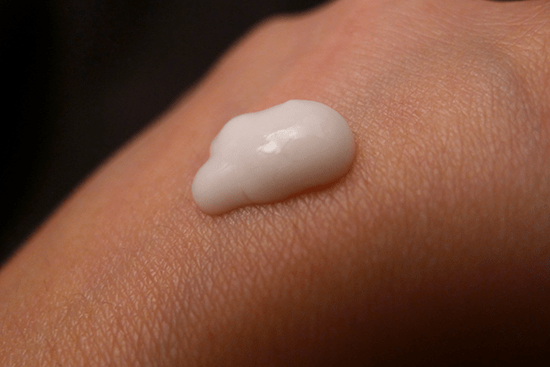 They’re classified as emulsifiers, and also have moisturizing properties. For the most part, they’re fine, but I haven’t really seen them in a Benton formula before. But the fatty alcohol that invoked the side eye from me is Cetostearyl Alcohol, which is another name for Cetearyl Alcohol. Cetearyl Alcohol can be an acne trigger for some people, and in some (but not all) formulas it has caused problems for me in the past. It also doesn’t have a good COSDNA rating, where it scores a 4 out of 5 as a potential acne trigger and a 3 out of as a potential irritant. Argan Oil – Argan oil has enjoyed a lot of popularity in recent years. It’s a spectacular skincare ingredient, as it contains antioxidants such as Vitamins A, C, and E, as well as skin-healthy Oleic and Linoleic Omega fatty acids. It’s both nourishing and moisturizing, and does an excellent job plumping the skin to minimize the look of fine lines and wrinkles. Beta-Glucan – Beta-Glucan is comprised of sugars derived from the cell walls of fungi, yeasts, lichens, or other plants. It’s used in medicine to boost the body’s immune system in cases where normal immune defenses are weakened by conditions such as chronic fatigue syndrome, chemotherapy, or emotional stress. Topically, it’s used to treat dermatitis, eczema, wrinkles, wounds, and burns. It’s anti-inflammatory and promotes collagen production. Azelaic Acid – This anti-inflammatory, antibacterial ingredient occurs naturally in the skin, but can also be harvested from wheat, barley, and rye. It’s also possible to synthesize Azelaic acid. I’m not sure what the source is in this particular product. Azelaic acid has been proven to be an effective treatment for acne, hyperpigmentation, and even rosacea. Benton Snail Bee High Content Lotion comes packaged in a no-frills, amber colored plastic bottle with white lettering. It looks very much like a larger version of the Snail Bee Essence bottle. The bottle has a pump for dispensing the product, which works efficiently for dispensing the lotion. The Benton Snail Bee High Content Lotion itself is white. The lotion consistency is far thicker than that of the Snail Bee Essence or the Benton Aloe Propolis Soothing Gel, but it’s less thick than the Snail Bee Steam Cream. Not much of a smell to speak of here. I tried applying Benton Snail Bee High Content Lotion a few different ways. The first way was as an emulsion step before my moisturizing cream, in both the morning and evening. When using this lotion as an emulsion in addition to a cream, I applied 1 to 2 pumps on my face after applying my serum, but before applying my moisturizing cream. One of the first things I noticed about this lotion is that it took kind of a long time to rub in. There is a good 15 to 20 seconds of the Benton Snail Bee High Content Lotion just sliding around my face when I apply it. It does eventually sink in though, and at that point, I applied my moisturizer on after it. The second way I applied the Benton Snail Bee High Content Lotion was as it’s own, moisturizing step, without applying a cream afterward. When using it this way, I applied it after my serum, as the last step in my routine. On a few occasions, I tried applying the Benton Snail Bee High Content Lotion without any other skincare products before it. I wanted to see if the lotion still took a long time to rub in if I was applying it to clean, dry skin as opposed to skin that is a bit damp from the products that preceded it. I found that this did not make a noticeable difference in the time it took the lotion to absorb. I used Benton Snail Bee High Content Lotion every morning and evening for 21 days. My skin is brighter in general, and I am still maintaining my acne free status, but it’s hard to say how much of my skin’s current condition is actually a result of using the Benton Snail Bee High Content Lotion. I think most of the credit belongs to my Paula’s Choice BHA liquid and AHA gel, as well and some of the other products I’ve been using. The Benton Snail Bee High Content Lotion is very moisturizing. Despite its thinner consistency, I actually find it be slightly more moisturizing than the steam cream. Unfortunately, I also find it feels heavier than the steam cream, even when using it without any additional skincare products on my face. I liked the brightening effects of the Benton Snail Bee High Content Lotion, and I was relieved that the Cetearyl Alcohol inclusion did not bring on any acne breakouts. However, I really did not enjoy using this lotion. I found myself sighing when I got to the emulsion step in my skincare routine. Because it takes so long to absorb, the application process felt onerous and cumbersome. I probably could have overlooked that aspect if it felt especially great afterward, but it didn’t. Although it did not make my face look greasy, it felt heavy on my skin. 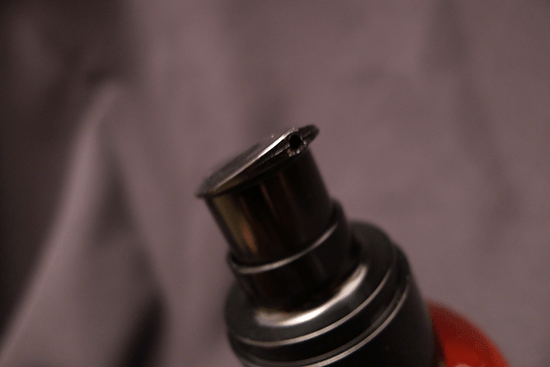 As for my friend that broke out from the Benton Steam Cream who was hoping this lotion would be a good alternative – the Benton Snail Bee High Content Lotion broke her out worse than the steam cream did. I find this unsurprising, since it contains many of the same ingredients the steam cream does, but with the added potential acne trigger, Cetearyl Alcohol. The Benton Snail Bee High Content Lotion just isn’t for me, unfortunately. I think someone with very dry skin who is looking for an additional moisturizing step in their routine would benefit from using this in addition to their moisturizing cream. Outside of that use case, I find this product to be the weakest in the Benton lineup. Performance: 3/5 – Brightening and moisturizing, but feels heavy and the application is cumbersome. Ingredients: 3/5 – Okay ingredient list with lots of skin healthy components, but also contains a couple of potential problem-causing ingredients, such as Cetearyl Alcohol. Packaging: 4/5 – It’s utilitarian and maybe even a little boring (I happen to like it though), but it does a great job dispensing product without leaking. I bought my Benton Snail Bee High Content Lotion from W2Beauty, where it retails for $19 (and comes with lots of samples). First time customers can get a $5 W2Beauty voucher by entering my sponsor code at sign-up: 025605.
eBay seller RubyRuby76 offers the Snail Bee High Content Skin for $16, and I am Love Shop on eBay offers it for $22. This is so interesting! I always learn so much from your posts. I’ve never tried any products with snail mucin in them before … I’m not the most squeamish person in the world, but I have to say it grosses me out quite a bit, ha. Okay, this lotion doesn’t seem like it’s for my skin judging by your review. If your dry skin can’t handle it, my combination skin mixed with it would be an utter disaster. And one thing I’ve noticed is that Benton seems to be changing up their formula for everything, including packaging, especially for the toner. I actually liked the packaging change for the toner! 🙂 I love the idea of a spray nozzle, but the one on the original toner packaging was really intense. I definitely prefer the newer splash dispenser, personally (though a pump like the one on the Snail Bee Skin would also be nice). I think sprays are better suited for thinner products – I imagine the new Snail Bee Skin would work very well with a spray nozzle. I have noticed some subtle ingredient changes as well, particularly in the Snail Bee Steam Cream. I only just ran out of my last batch of Steam Cream and am about to bust out the one with the newer formula. The new formula still doesn’t have any Cetearyl Alcohol in it, so I’m not too worried about the change. I’m curious to see what difference it makes in the texture! I do think this lotion would feel heavy on your combination skin. I’m really curious to hear what other people think of it though, especially those with oily skin types. I’m not a huge fan of this lotion, but there’s absolutely no love lost here for the rest of the Benton line. I still love the rest of the products and can’t wait for the aloe line to be finished in a couple of months – I’m really hoping one of the products will be an aloe-based moisturizing cream! I was waiting for your review on this! I had the same experience with how long it took for the product to sink in but I find it lighter than the steam cream. I have dehydrated oily skin and I liked this one better than the steam cream, which was a bit too thick for me. I’m waiting to try out the skin toner one now, but yeah I just love how hydrated my skin feels since I’ve been using Benton products. Good to know you haven’t had any issues with it feeling heavy on your skin! I’m eager to see how you feel about the toner. I love that one! Wow I did not know this contained Cetearyl Alcohol. I’ve always tried avoiding products with it because I think it would be bad for my acne prone skin. I was so excited I didn’t even check the ingredients for the new Benton products. For me, I really liked the lotion. It didn’t break me out, and it gave me a shine/glow in the morning (not the greasy kind). I think the lotion + cream makes the skin feel quite heavy. I’d opt to leave the cream out during summers and add it back during the winter. Thanks for the review by the way! Cetearyl Alcohol doesn’t trigger acne for everyone, fortunately! I also think it largely depends on the rest of the formula it appears in, and in this product, it appears much lower on the list than it does in most lotions. I’m glad you like the lotion! Regarding cetearyl alcohol, how soon would you notice it breaking you out? I ask this because I had just started using a new moisturiser and about two weeks after I started using it I broke out like mad! But I don’t know if it’s the cetearyl alcohol in the product causing it or if it’s just a breakout related to my periods. Thanks for the review! I was waiting to see if this could replace the Benton Steam Cream in my morning routine but I’m a bit wary of the ingredients (Also, I think I’m in love with the steam cream haha). Alas, my dreams have been crushed. I was worried as you talked about the absorption rate. But when you said your friend’s skin broke out even worse than when using the cream, I knew it was a deal breaker for me. I’m using the steam cream on my neck as I don’t want to waste it, but my face broke out pretty bad from it. I’m sure I’ll buy a sample of the lotion at some point to test it out. But I’m pretty sure I’ll have bad results. It’s too bad as I was SO excited for the lotion. Thanks again Kerry for another great review. I hope the lotion keeps working for you! I’m sorry, Angel! The good news is that the Benton brothers are finishing up their aloe line in the next couple of months. I have very high hopes for that one, and I imagine that one of the products will be an aloe cream. Perhaps that will be your magic moisturizer! I was really excited when I saw they were releasing some new stuff, but I’m a little bummed after reading your review. I was hoping they’d release an emulsion or lotion that was a lot lighter than the content cream which I find is too heavy for me. I get a lot of those white lumps underneath the skin if I use it for an extended amount of time. Shame, because I love everything else! I’m sorry I had to interject, because it sounds like my reaction to the Steam Cream was the same as yours. After I stopped using it, I noticed my break outs reduced quite a bit and my milia (the closed little white bumps) stopped multiplying as well. Maybe because the lotion is less rich than the cream? I don’t know but I recommend giving the lotion a try! I’ve only been using it for several days so perhaps it is too early to judge but for me, so far so good and my skin has been looking much better, back to normal! Thanks for this review! To be honest, the thing I did not like most about the steam cream was how heavy and greasy it felt to me, but despite that I am still interested in this product even if it feels heavier. I guess the ingredient list is calling to me more so than the other products and alcohol hasn’t made me break out thankfully. I’ve also tried researching EGF before and didn’t find anything very useful about it! The one thing I didn’t like most about the Benton line was that I didn’t find it moisturizing enough and I didn’t like the steam cream. I like that they’ve finally come out with another pump product but the whole waiting for it to sink in does sound a little irritating…I hope they’ll come out with samples, otherwise I might just bite the bullet and try it. EGF is really hard to dig up research on – it makes me wonder if it goes by a different trade name or something. I’m seeing it in more and more product formulas, so I find it odd that peer reviewed studies on it are still so difficult to find! Thanks for the review! Such a shame, because I was hoping this lotion would fit right in between the aloe and the steam cream for those days where the cream is too heavy and the aloe is too light. I am actually using Benton snail bee and Mizon snail, both together. I do also have the aloe gel from Benton. I am crazy LOVING the new lotion, and use it in place of the steam cream. I may drop the essence as well, and just have the skin in its place. I am having trouble finding if Benton has any cleansers though? I have the Mizon foaming snail, it’s ok, but if Benton has one I would love to try it. I’ve been using the Essence and the Steam Cream for almost half a year now, and incorporated the Toner and the Lotion about two months ago. The results are noting short of spectacular! I’m 31 now and my zits started popping up at the age of 11… I tried everything on the face of the planet with virtually no success. About a year ago I gave Korean cosmetics a try and saw immediate results: it was the first time in my life that my skin actually liked what I put on it. I also starting taking large doses of vitamin C and E (and as an added benefit vitamin C got rid of my severe allergy), but my skin still wasn’t perfect. Then I discovered your blog, read your review about Benton products and couldn’t head over fast enough to the online Korean cosmetics store I usually order from. The Essene and the Steam Cream were an absolute dream and helped improve my skin further. For a while I only used Benton products at night as the cream was a bit too much for daytime, but after I got the toner and the lotion, I created a morning routine with them, and now I can happily say I haven’t had a single zit in over a month, and even then it was just one big one due to hormones and junk food. I love looking in the mirror these days! Not because I’m particularly pretty or anything, but I love how my skin is spotless (excuse the pun) and does not hurt anywhere when I wash it. Btw, I only use maybe half a pea size of the Lotion for my entire face. It’s easy to spread because it has very good slip, and I always apply it immediately after I splash my face with the toner, so my skin is still pretty moist. 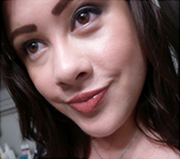 It’s easy to spread it that way, it sinks in much faster and you really don’t need more because it moisturizes so well. I think the key with this product is to use as little as possible. It will still work its magic perfectly well but will not feel so overwhelmingly heavy. Sorry for the essay, but I just can’t shut up about Benton products I love them so much. 🙂 I’ve already converted my best friend and another good friend of mine. Urgh, I can’t believe I managed to misspell your name Kerry. I’m very sorry! Hi Katy! How strange! I think salicylic acid would be a highly unusual acne trigger, but skin can be a strange thing – anything is possible! I’d be interested to know how you fare with the Benton products. Good luck! I thought so, too! How could the go- to natural acne treatment be bad for me. But no matter what brand I tried, or how many thousands I spent, I broke out worse till I switched to bp 10%. But even that is failing me now. I hope this benton line is my answer. I’ve been cycling cleansers every two to three weeks, because they’re either too drying or they make me break out worse. I’m using a Juice Organics cleanser at the moment, and so far so good. Also, it’s been probably ten years since I saw my dermatologist. She ran out of things to try that I didn’t have a bad reaction to. I have been reading your blog for a while now, i always find something new and interesting to read. i have also started using your and The wanderlust project reviews as a guide to good skincare. I have bought the Benton Snail High Content lotion as an accident. I have used it on my face but i have found it to heavy and just a trouble to use. After i have stop using it i have decided to use it on my body as my moisturizer. The lotion still takes a long time to absorb but i have started to notice that my skin looks smooth, bright and it feels more hydrated.